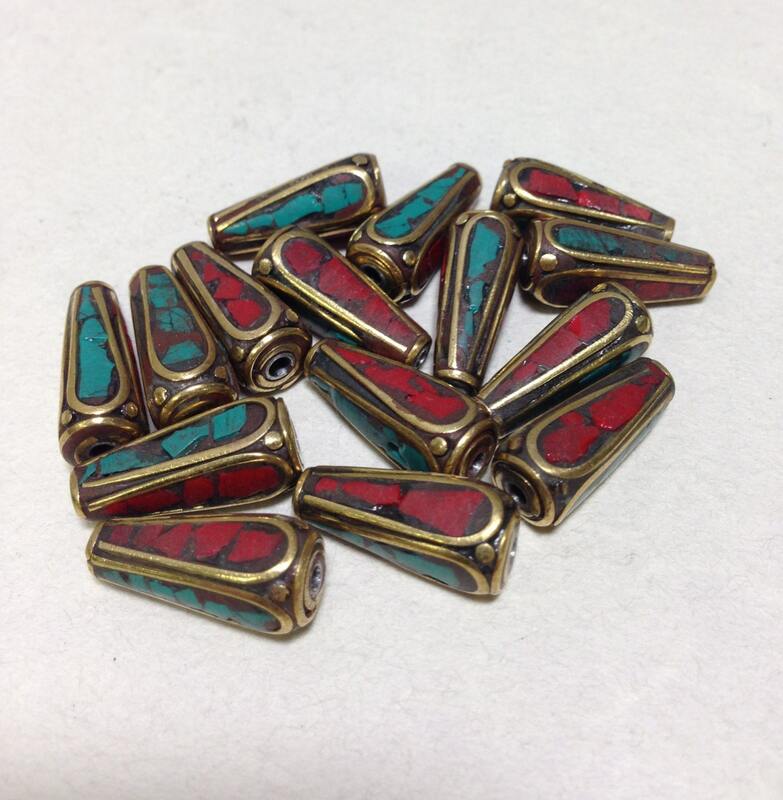 These are beautiful Tibetan Handmade Turquoise and Coral Chip Oval Beads with Brass are sold in a quantity of 15. 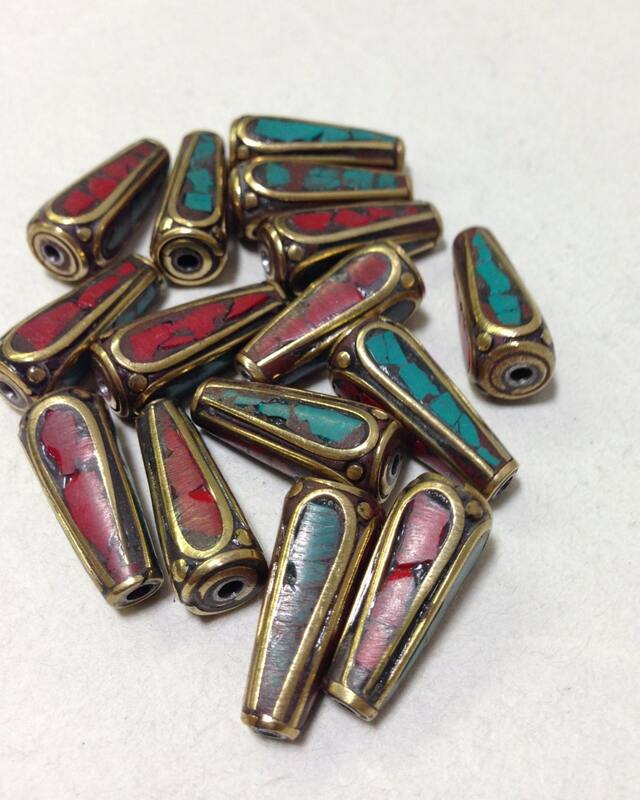 These Tibetan Turquoise and Coral Beads would will be elegant in a Necklace or Bracelet or Earrings. Tibetan Brass or Silver jewelry pieces are made with technique of Repoussé of chasing on silver, brass and copper. 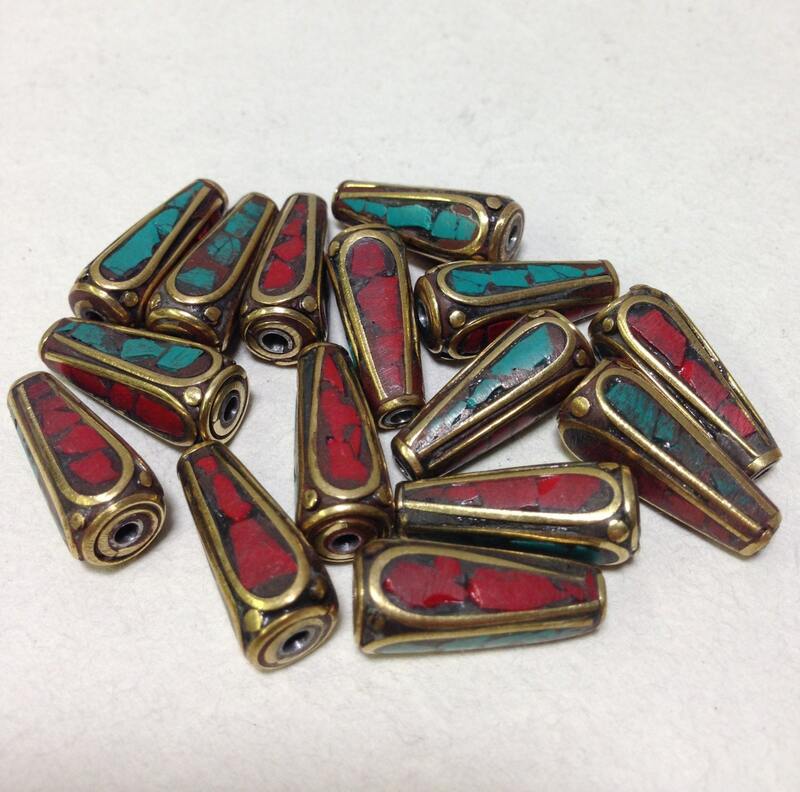 Repoussé is a metalworking technique.These beads are truly elegant components for all your jewelry designs and has true Tibetan craftsmanship.